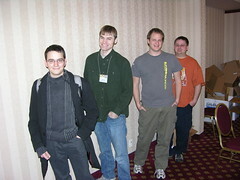 I added more pictures from PyCon 2006. Enjoy. I know I missed some blogs, please let me know your blog address, and I will add it.